The extreme growth of unstructured data is one of the most important challenges which companies have to face within the coming years. Simply expanding primary storage will no longer solve this problem because of economic and technical reasons. Based on the fact that most of the unstructured data is inactive (“cold data”) companies are looking increasingly for solutions to solve this dilemma. Companies have large amounts of data, and a large percent of it needs to be retained. Only 25% of the data within an organization is freshly created; the rest is redundant data, or data that was created in the past and must be preserved for future reuse. This situation has created a high demand for information storage, a demand that carries both monetary and logistic concerns. Data archiving allows organizations to efficiently retain this mass of redundant data, often for very long periods of time, so that it can be accessed when necessary. The solution is to archive data to suitable secondary storage systems designed for long-term data preservation and archiving, i.e. 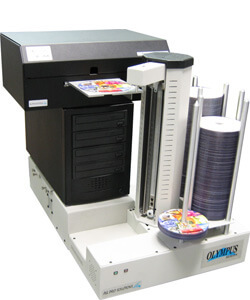 CD/DVD Blu-Ray Disc publishing systems. 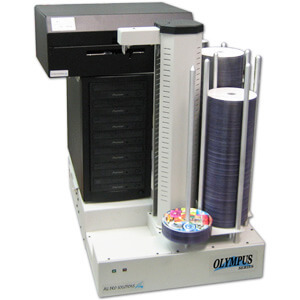 Olympus’s Storage Manager – Archive Edition provides an easy to install and intuitive software for automatic policy-based migration of cold data to data to be archived from primary storage to CDs DVDs and Blu-Ray Discs with the range of Olympus Series Publishing Systems. Preserving digital data for the long-term is extremely important as the amount of content generated increases each year. 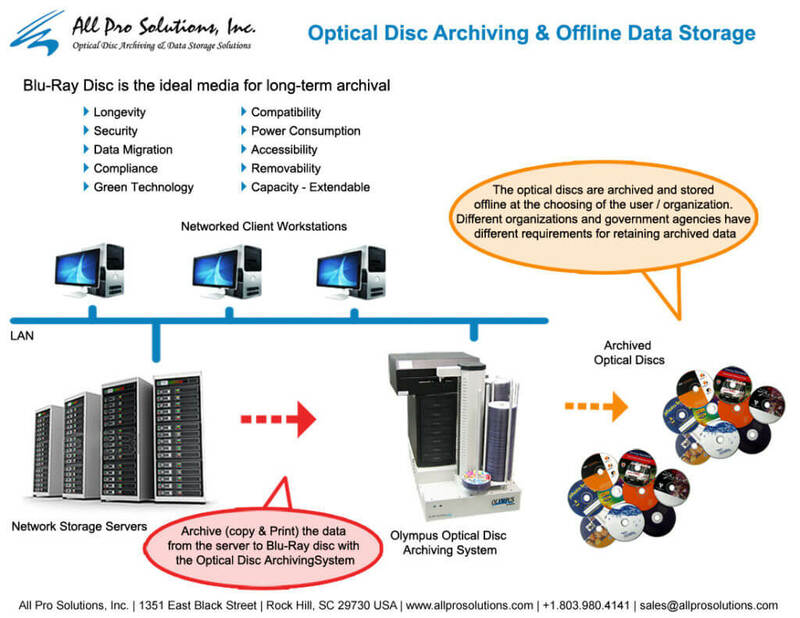 Optical disc-based systems play a vital role in offline data archiving when cost effective solutions are required. Optical discs are also a great fit for long term storage or safety copies of data. Regardless of what kind of data archiving is needed, All Pro Solutions has the right solution. We have systems that allow you to archive emails and office documents, store software source code, archive log files, and store captured video or medical images. Whether this information is archived to fulfill legal requirements or to protect business assets, the data will be safe and secure if it comes from All Pro Solutions CD/DVD and Blu-ray Disc systems. All Pro Solutions Archiving solutions reduce archiving costs and simplify recall, while preserving critical data for decades. 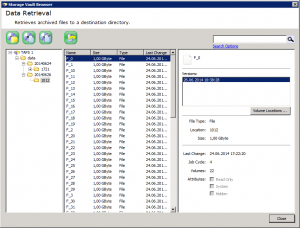 Policy Based File ArchiveStorage Manager – Archive Edition offers policy-based file archiving. This is fully automated archiving directly to an optical storage device such as an Olympus Series CD/DVD Blu-Ray Disc Archiving System – no user action is needed. WORM File System with CIFS AccessMost applications do not support archive storage systems (like tape and optical) natively and require a standard storage access interface like CIFS. The VFS (Virtual File System) is an integral module of Storage Manager – Archive Edition and implements a native Windows file system. It provides standard CIFS file system access to archive storage systems. This means applications can make use of the benefits of the Olympus Archive Systems without adaptations. User-Defined Archiving by Web ClientBesides the automatic process of file archiving, Storage Manager – Archive Edition offers user-defined archiving supported by a Web Client. The Web Client is aimed at environments in which particular users need to be able to perform archiving operations by themselves. Usage of the Web Client is protected by a user authentication mechanism. Archiving MethodsStorage Manager – Archive Edition provides multiple archiving methods. This comprises copying of files (Copy Mode), moving of files (Data Mover Mode), and stubbing of files (HSM Mode). 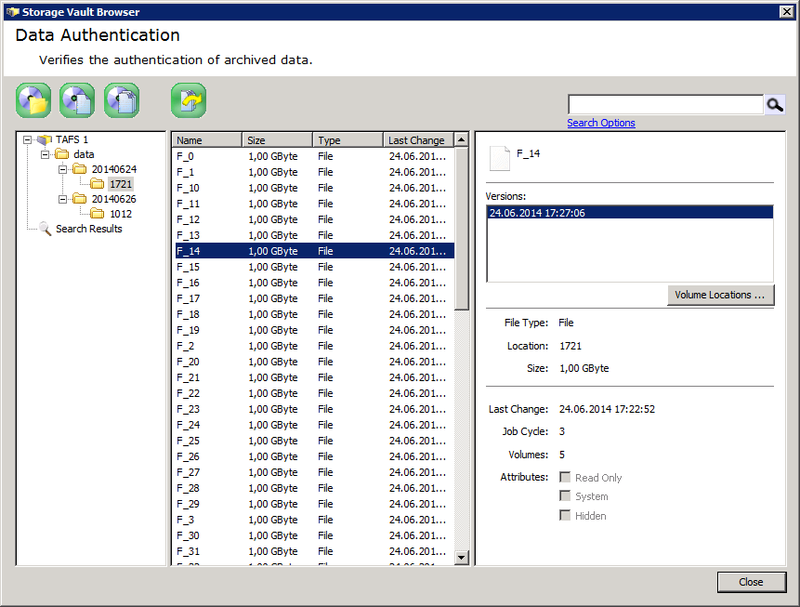 Use of StandardsStorage Manager – Archive Edition strictly adheres to standards for storing data on secondary storage systems. This ensures independence from a specific hardware vendor and protects customer investments. Furthermore access to all archived data is provided by standard operating system methods. MTF (Mircosoft Tape Format), LTFS1 (Linear Tape File System) and UDF (Universal Disk Format) are supported as standard formats for tape and optical. Software Development KitThe Software Development Kit (SDK) can be used by system integrators to incorporate the functionality of Storage Manager – Archive Edition into applications by a suitable API. This API provides the control of policy-based archiving as well as comprehensive query and administrative functions. Efficient use of primary storage. Reduced risks fo data loss. Low cost, low power consumption and minimal carbon footprint. Reduced Costs – Lower costs per decade than storing on HDD. Long-term data retention, compatibility and durability. Faster than tape – Random access and rapid recall. Save for decades – DVD and Blu-Ray Disc last much longer than tape or other media. PoINT EMC FileMover AgentThe PoINT EMC FileMover Agent allows EMC VNX systems to be integrated into the PoINT Storage Manager’s tiered storage architecture. The agent runs on the PoINT Storage Manager server and makes use of the EMC FileMover service which is a fixed component of the EMC system’s software. This agent supports the migration and archival of (e.g. inactive) data from EMC systems to any downstream storage system. PoINT NetApp FAS AgentThe PoINT NetApp FAS Agent allows NetApp FAS systems to be integrated into the PoINT Storage Manager’s tiered storage architecture. 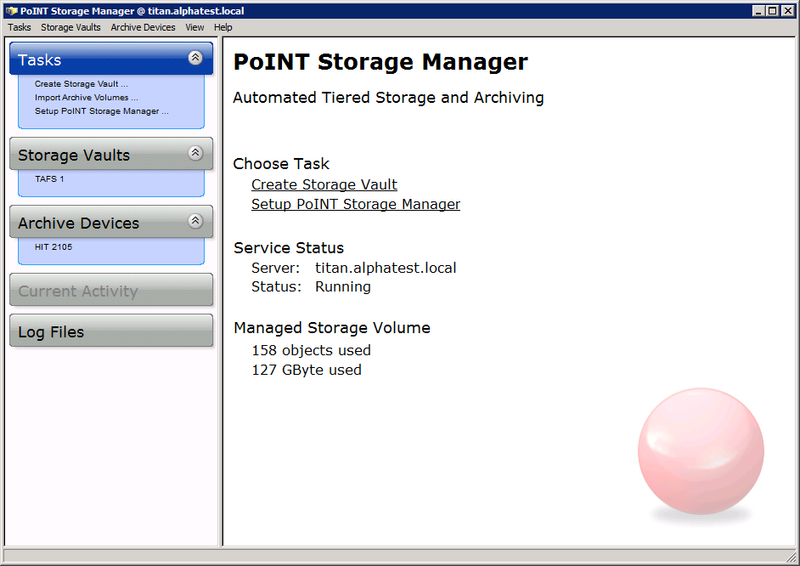 The agent runs on the PoINT Storage Manager server and makes use of the FPolicy functions service which is a fixed component of the NetApp system’s software. This agent supports the archival of (e.g. inactive) data from NetApp systems on any downstream storage system. The PoINT Storage Manager – Archive Edition realizes transparent transferal of files for EMC VNX-, NetApp FAS- and Windows NTFS-based primary storage systems. The use of so-called “stubs” means that directory entries remain on the primary storage system, while the file content itself is moved to the archive. This process reduces the load on expensive primary storage while still fully preserving the original file system structure. When a moved file is accessed, the PoINT Storage Manager – Archive Edition automatically reads it from the archive and hands it over to the requesting application. As part of the HSM architecture created, and the associated transfer of data from primary storage, the PoINT Storage Manager – Archive Edition provides rules-based long-term archiving (file archiving) within secondary storage, where it can be protected against modification. In the case of Windows NTFS, this protection also involves the primary storage system’s file system, in that (depending on the rules provided) files in the primary storage system are protected against deletion or editing by users or applications. 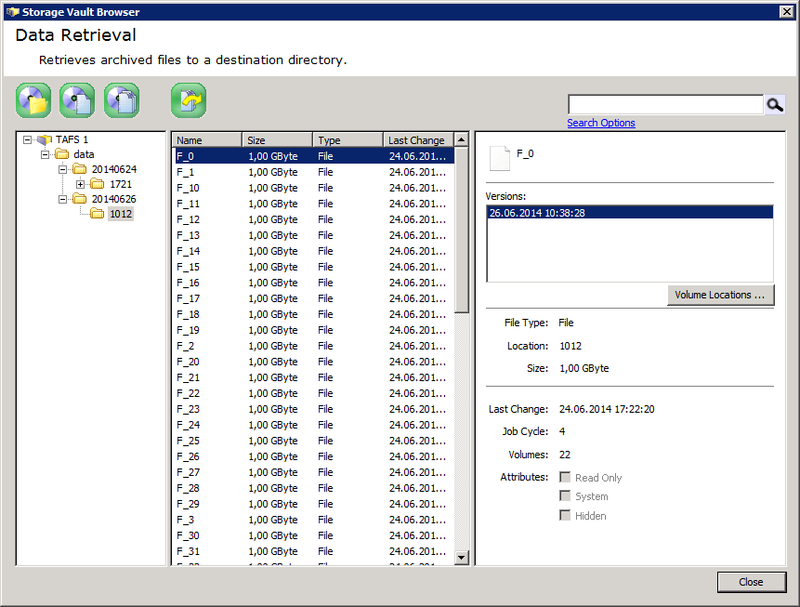 Long-term archiving with the PoINT Storage Manager – Archive Edition also involves managing various versions of a file, where changes to a file can be tracked through archived versions of files. Retention management enables targeted, time-specific protection of archived files against manipulation, editing or deletion. After the retention period expires, files can be selectively chosen and both the so-called “stub” (the link within the primary storage) and the archived file itself in secondary storage can be deleted. Retention management also enables maintenance and management of archived files. Archived files without stubs can be marked and selectively deleted after a specified time or number of job cycles. For versioning of archived files, users can specify how many versions to preserve. Every business needs to meet a different set of requirements and laws as part of a compliant data archiving process. With the PoINT Storage Manager – Archive Edition, these compliance requirements can be very efficiently fulfilled using integrated WORM functionality and dedicated archive storage hardware. The PoINT Storage Manager – Archive Edition supports the replication of archive data, where replication storage used for this purpose can be in the same configuration or external. This also includes replication on a device using a different type of storage technology from the original device. 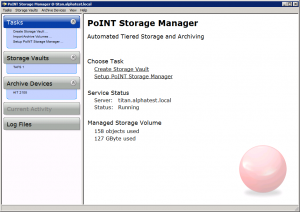 The PoINT Storage Manager – Archive Edition includes an offline data management system for managing removable media such as tape and optical drives. An extensive set of functions is available to locate objects within offline media. This functionality is of particular interest for the energy savings that come with organizing data using offline libraries.